What is willpower? Is it a skill to learn? Is it a fixed personality trait? 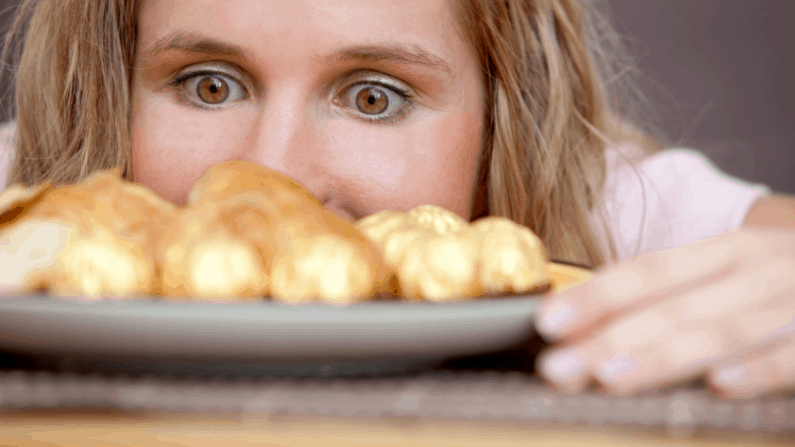 Two experiments about willpower had results that might surprise you. In 1996, a ground-breaking study about willpower was conducted by Ray Baumeister and others at Case Western Reserve University. The participants were separated into three separate rooms. Two groups were seated at tables with fresh baked chocolate chip cookies and a bowl of radishes. The first group was told to taste the cookies, but not the radishes. The second group was told to taste the radishes, but do not eat the cookies. The third group, the control group, didn’t have any food on the table in front of them. After 5 minutes, the food was removed from the first two groups. All three groups were given a puzzle task to complete. The puzzle was impossible to do, so they were really testing to see how long it would take each person to give up. The people who could eat cookies and the people who had no food worked on the puzzle for about 20 minutes before they gave up. The people who had to resist the cookies and eat the radishes gave up after only 8 minutes. 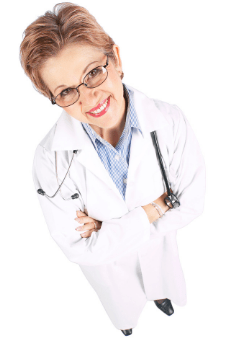 They self-reported that they were more fatigued and had a greater desire to quit than the cookies or no-food groups. The group who could only eat radishes had to exert the most self-control, even if it was only for 5 minutes. The researchers concluded that their ability to handle a difficult task must have been depleted enough to cause them to give up on the puzzle faster. Experiment Summary: the energy needed to resist the cookies and the energy needed to complete the task must have come from the same inner source. 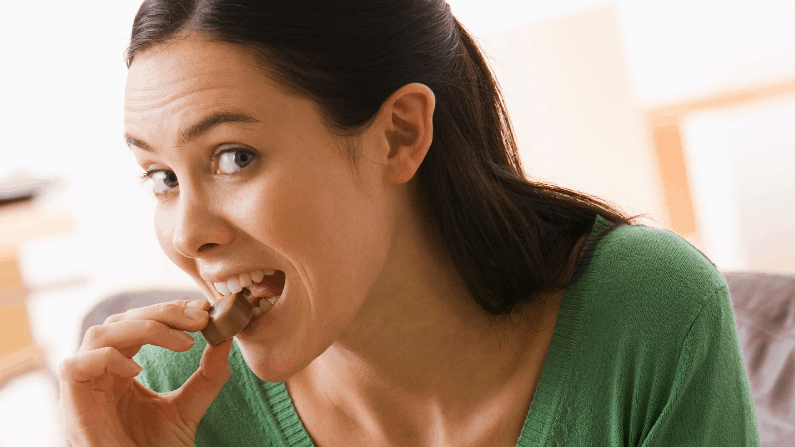 Before this study, many psychologists believed self-control was a skill to learn or a personality trait. But now, it appeared to be a strength that when used, can become depleted. 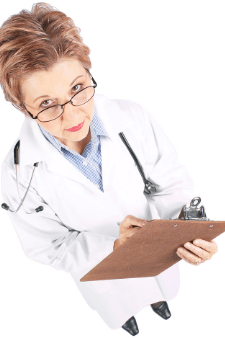 Subsequent studies and reviews have supported their findings. If that’s true, it explains why our ability to practice self-control feels compromised when we are dieting. Our temptation to let our guard down is not because of a character trait, but it’s a predictable physical condition. Our moods and emotions are connected to our physical condition. Our “lack of willpower” could be due to a lack of available resources (i.e. calories). No gas in the tank. As a follow-up to the 1996 study, another “cookies and radishes” experiment was done by some of the same researchers. Half the participants were given instructions by a friendly person, asked if they wanted to help, and thanked for participating in this important study. This was the “Autonomy Supportive” group. They were given the autonomy to opt-out and were emotionally supported by the experimenter. 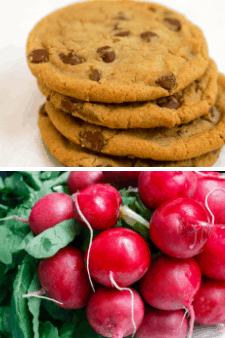 This group was split again into two groups – one sat with cookies and the other sat with radishes. They were asked to not eat the food in a nice, friendly tone. The other half of participants were in a “Controlling Condition” group. The experimenter was unfriendly. There was little interest expressed in participants’ concerns. They were told “you MUST NOT eat the cookies/radishes” when put in a room with their assigned food. Same directions, but delivered in a controlling tone. After all groups resisted eating their assigned food for 5 minutes, the food was removed and they were given mood questionnaires and a concentration task. Both “Autonomy Supported” groups (cookies and radishes) made fewer errors than the “Controlling Condition” groups. Which group made the most errors? That would be the “Controlling Condition with Cookies” group. They had high temptation and had the additional stress of being treated like they had no choice but to comply. They had no emotional support or buy-in. Participants who felt like they had autonomy to choose to participate or not, and who felt supported, were able to practice self-control and not feel as depleted as other group who were pressured to comply and felt no support. 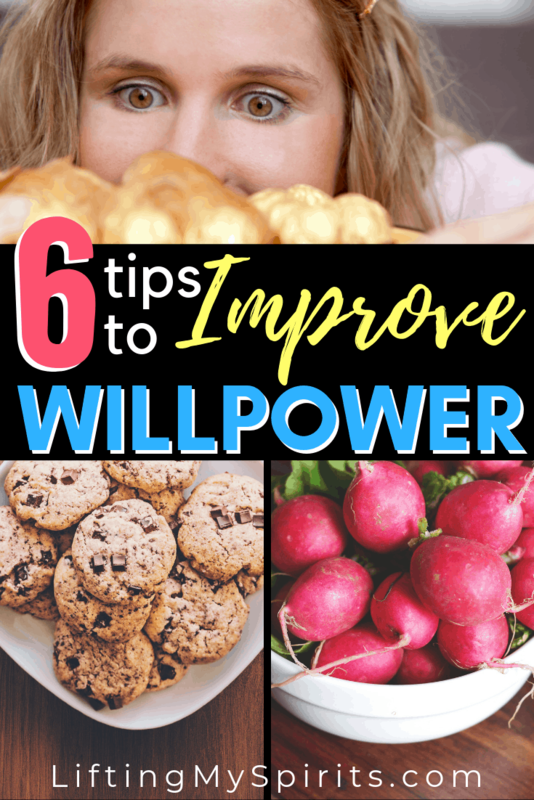 1) Willpower has a physical component and may require the same energy as the rest of our body. When we are depleted, willpower will be depleted, too. We’ve all felt it. It’s harder to stick to the plan when we’re tired, sick, and stressed. This makes sense. 2) If we do not have autonomy to choose or don’t feel supported, we will become depleted faster. How can we use this information to increase our willpower to stay on track with our fitness goals? Tip 1: Recognize that willpower will be depleted over the course of your work day and plan around it. Workout before work if you can. If you can’t, or prefer not to on a given day, you can try to keep some willpower “gas in your tank” during your work day. As I type that, I’m a tiny bit horrified because that’s not in my nature. That is why I used to lift before work. Tip 2: Programs that allow for personal choice will be more effective than programs that control every detail. This explains why programs that are not customized for an individual tend to fail over time. People lose the energy and desire to keep up with something unless they have autonomy of choice. Tip 3: Work with trainers or coaches who are flexible and supportive. You don’t have to work with a trainer or coach, but if you do decide to have someone help you, pay attention to how you feel when you talk with them. If the expectation is more about compliance than support, you may not be able to perform at your best in the gym or in the kitchen. Tip 4: Plan for setbacks. Your willpower will get tired faster when something unexpected or stressful happens. Life happens. Have a “plan B” for weeks when you can’t do your normal food prep routine. Prepare extra protein and freeze it. Use frozen vegetables instead of fresh in your lunches. Have a small treat planned every so often to empower you to practice self-control most of the time. 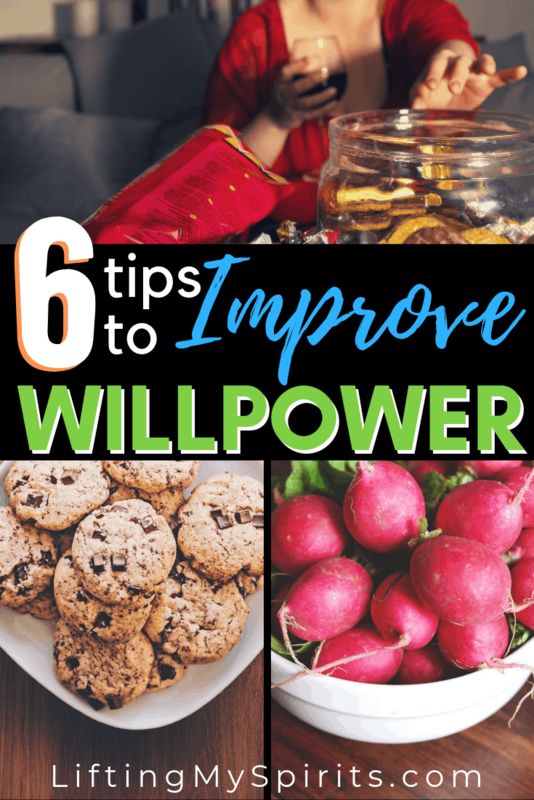 Tip 5: Don’t try to run a “perfect” willpower program. You cannot expect “perfect” willpower any more than you can expect to lift any weight you decide to load on the bar. It may not be as strong as you like at first, but it will get stronger. Tip 6: What You Tell Yourself Matters! Remind yourself that the controlling, unsupportive environment was the least productive one. Don’t be the controlling, unsupportive person in your own life! If a negative self-talk loop gets started, practice replacing it with a reminder that you made the choice to make this change to be healthier, to live your best life, and that it’s better to be a little “imperfect” with how you implement it right now so you can get back on track ASAP. Your willpower muscle just got a little tired. I found these experiments on willpower fascinating and started to wonder how the results could be applied in non-fitness areas. How can parents use this information? How could this research impact our schools? How could this research be used by managers and corporate executives? 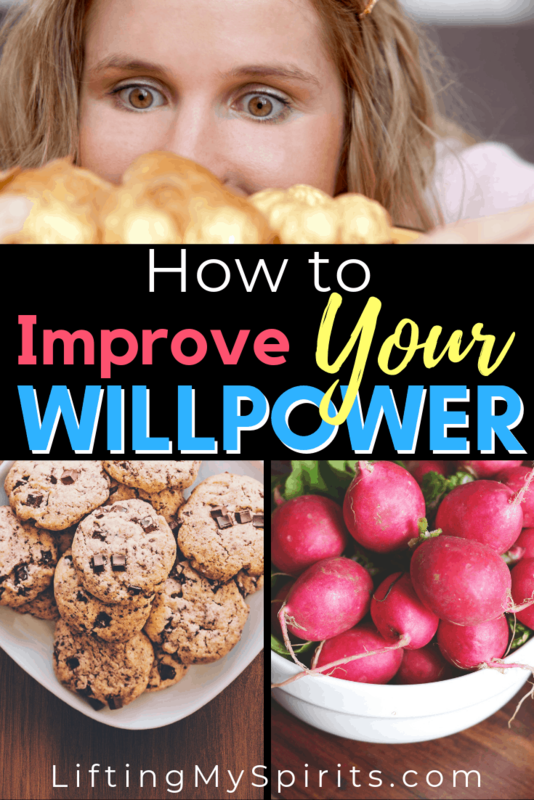 It’s true that the connection between willpower and our physical condition needs to be studied further for science to whole-heartedly support it. But it makes sense and we can use what we know now to help us improve our own willpower.